There are two ways in which you can join us. If you are interested in singing, please read on. If you would like to support the choir as a Friend please go to the Friends page. We welcome enquiries for all sections of the choir. We meet for rehearsals every Tuesday in school term time, from 7.30 to 9.30pm, in Daventry Methodist Church, Lodge Road – see location map. There is ample parking in the free public car park opposite the church. We perform three concerts annually for which music is provided, either to buy or hire for a nominal fee. 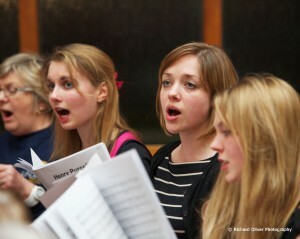 We recognise the importance of training and hold two workshops each year which are free to all members of the choir. Non-members are also very welcome to join us for a small fee. Musical experience is always very welcome but all new singers are invited to sit in on rehearsals for a couple of weeks to see how they like the “feel” of the choir. This is followed by a simple, private voice check with the Musical Director and the Assistant Conductor to judge where their voice would be best placed within the choir. 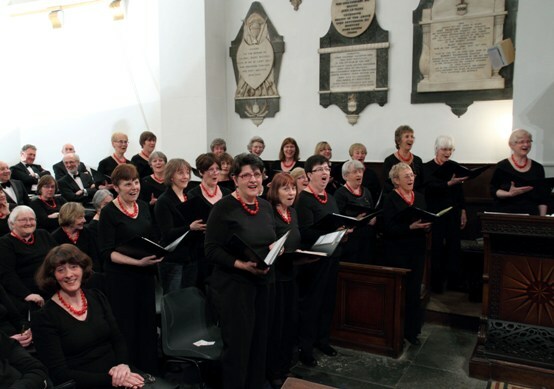 If you are interested in joining the choir please e-mail Jill Scott (click here) with brief details including telephone number and Jill will get back to you.